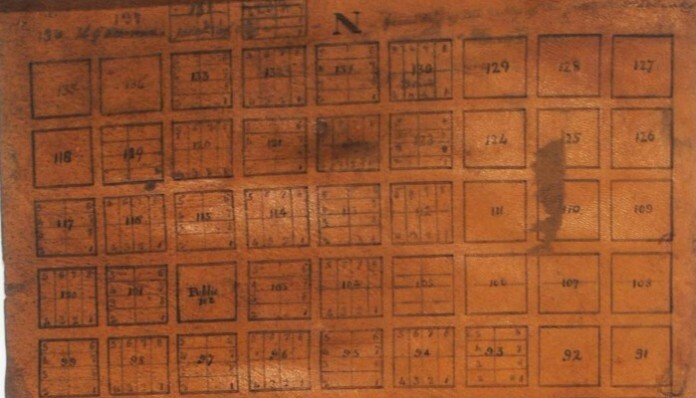 A map showing Brigham Young’s vision for Salt Lake City surfaced in New York City last Thursday and is now up for sale. For 168 years, the map, drawn on a piece sheepskin, had been kept in private hands. According to FOX13, in 2014, Rick Grunder and Paul Cohen bought the map from the descendants of Jesse Fox Sr., Utah’s territorial surveyor. Four days after the Mormon Pioneers arrived in Utah, Young had Latter-day Saint surveyor Henry G. Sherwood orchestrate the plat. The map shows that the city was built around where Young envisioned the Salt Lake Temple to be, and what is now currently Temple Square. All of the streets stem from the the center of town, where the temple is. To read the full article on LDS.net, click here.